A self-published sensation, Hugh Howey has now signed book deals on both sides of the Atlantic and film rights have been sold to Ridley Scott. You can now download the Wool omnibus for only 3.99$ here. In a ruined and hostile landscape, in a future few have been unlucky enough to survive, a community exists in a giant underground silo. Inside, men and women live an enclosed life full of rules and regulations, of secrets and lies. To live, you must follow the rules. But some don't. These are the dangerous ones; these are the people who dare to hope and dream, and who infect others with their optimism. Their punishment is simple and deadly. They are allowed outside. Jules is one of these people. She may well be the last. This whole series is simply outstanding, fast-paced storytelling. Price probably depends on where you are - I see $3.91 for Canada. 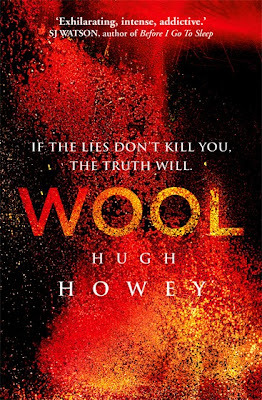 Wool is a great book. Definitely worth paying full price for.